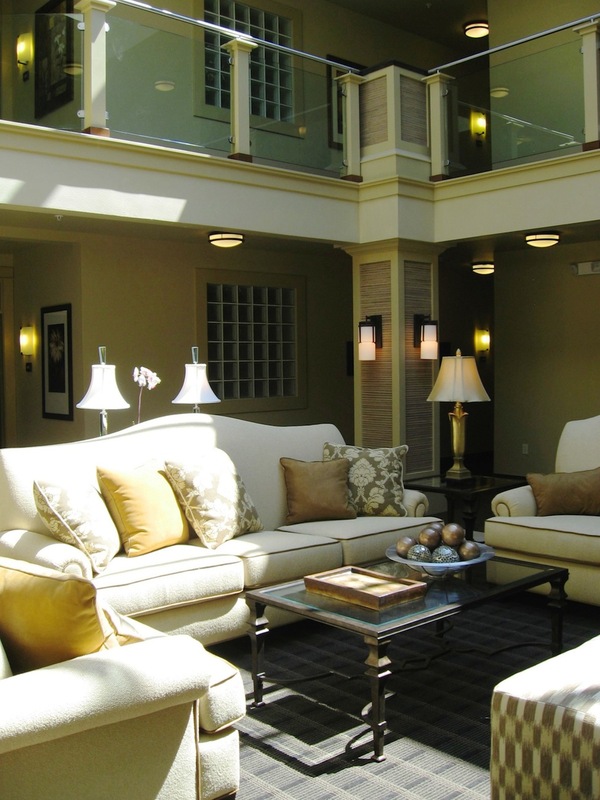 DH Design's work with multifamily communities swings from grand to small. New construction to renovations. 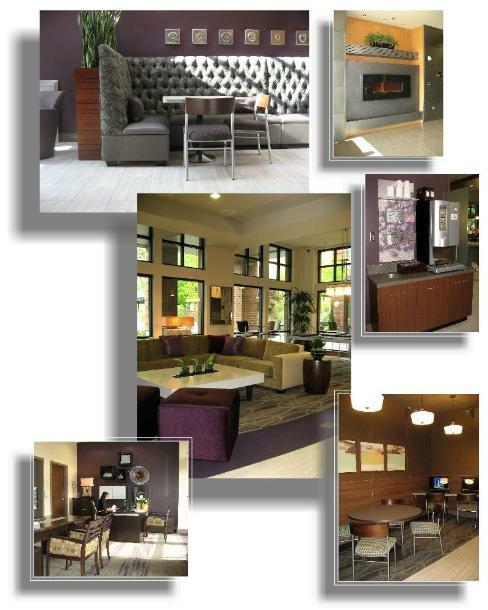 Amenity spaces, common areas, outdoor spaces, unit interiors, sales centers, and leasing spaces. We enjoy the unique, so your special project will not surprise us. Elements Too Apartments / Bellevue, WA. is known for its edgey attitude. 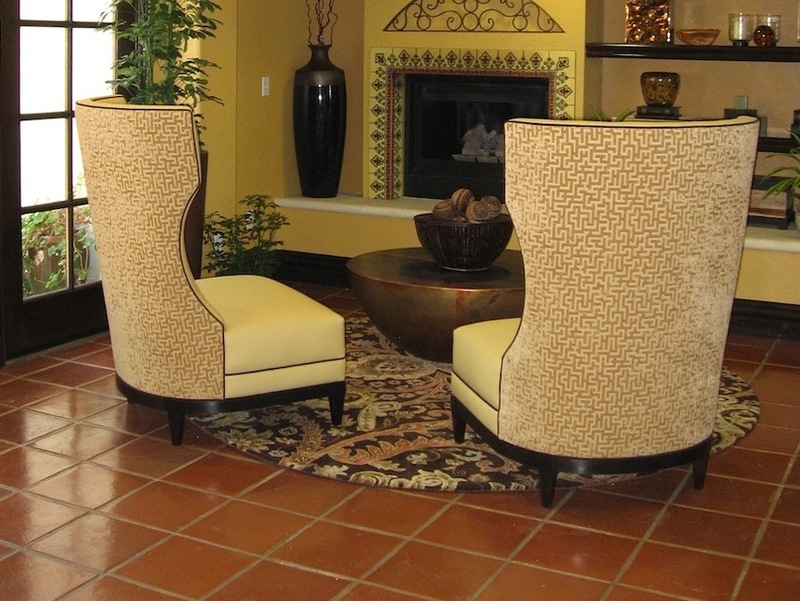 A major 2015 renovation included reprogramming of spaces while keeping that edge. Flexibility is everywhere, allowing residents to find a variety of places to socialize or work either near others or away from. 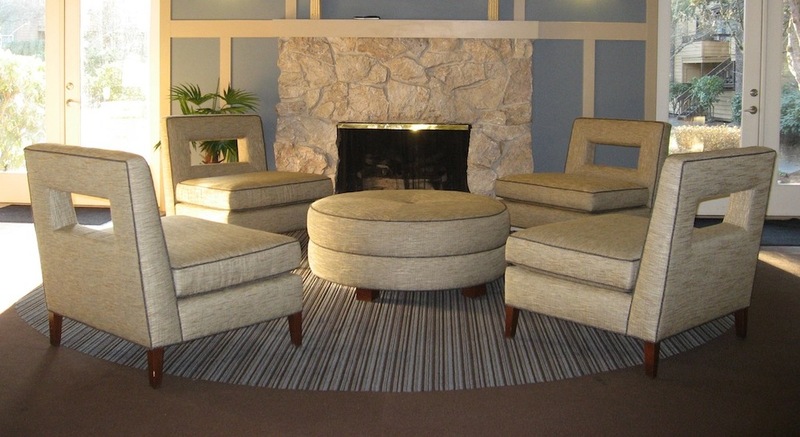 Lounge pieces take a page from commercial spaces with modular furniture and available power. The media room had been filled with the expected row after row of chairs, but now is filled with contemporary, durable furniture on casters, power table, hospitality bar, and a range of seating options. Island Square Apartment's Resident Lounge and adjacent spaces received a major update. 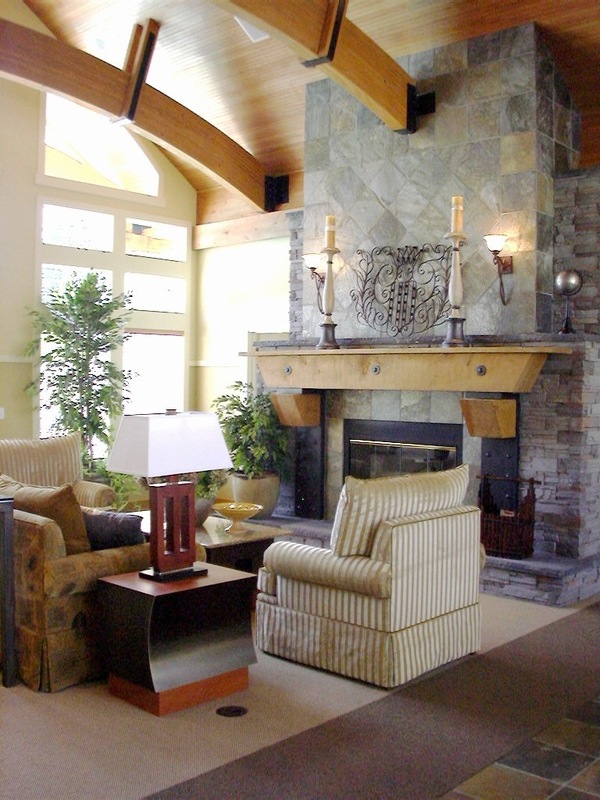 An underused, small media room became a business center, and a contemporary fireplace now warms the entry hall. With the addition of ample cafe seating, complimentary coffee bar, and seating choices, the new space is actively used and appreciated. 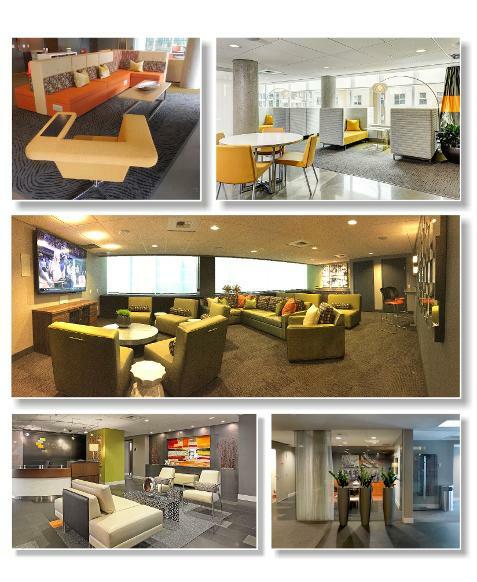 Beyond the durable furnishings and finishes, the leasing offices received high style furniture providing increased function, storage, and adaptivity. 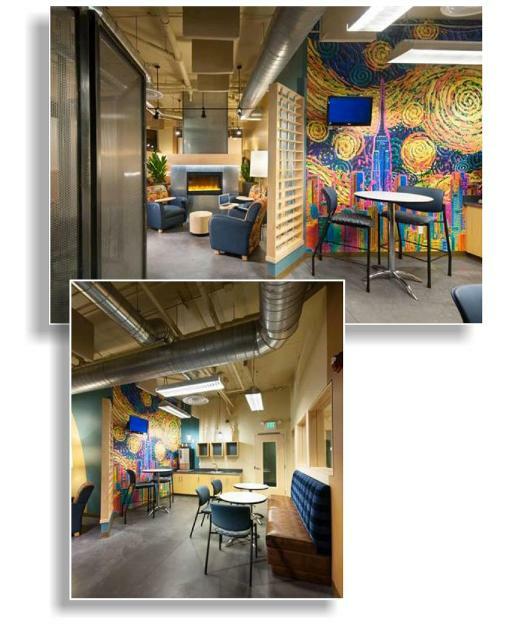 An unfinished space at The Kennedy Apartments (Seattle, WA) became a unique space for primarily university students who reside there. 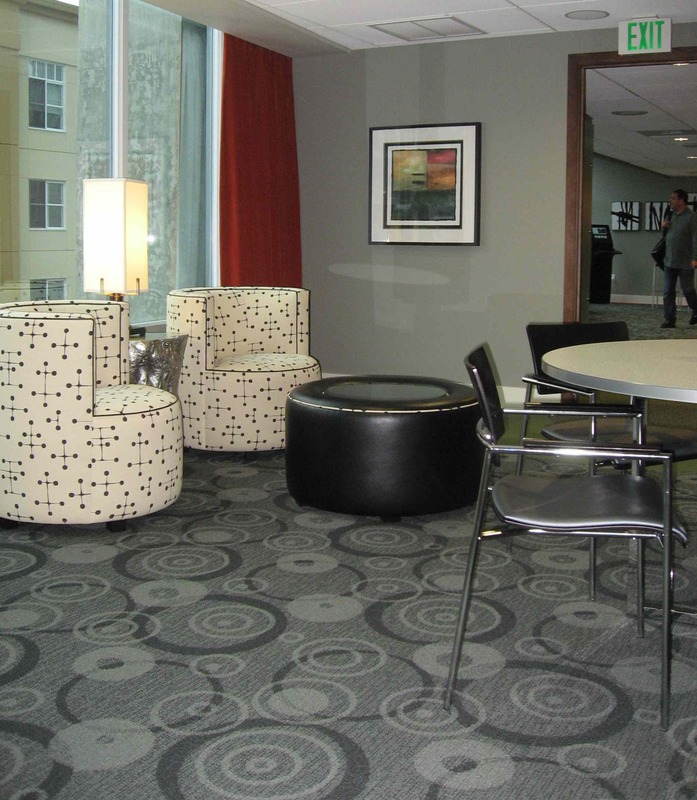 With plenty of places to land for independent study, study groups, TV watching, or socializing, the space was designed to feel on trend, a cafe that also includes large conference room with room width white board, business center, multiple TV's, and plenty of electrical outlets for technology use. Arcadia Apts. 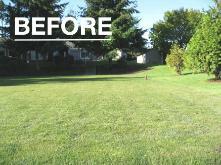 (Federal Way, WA) created an outdoor amenity space adjacent to the cabana building. 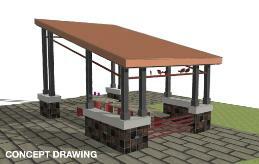 Designed by DH Design, the covered seating and BBQ areas encourage socializing even on gray days. 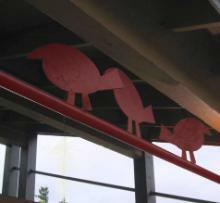 Iron birds perched on a rail under the eave offer whimsy. 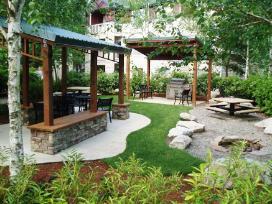 Outdoor kitchens and BBQ gathering areas are welcomed by multifamily residents. DH Design designed 3 variations for Edgewater Apts., (San Francisco, CA) each combining weather tough materials: stainless steel panels with decorative fasteners, concrete countertops, and powder coated steel. Sconce lighting was adapted for the support posts. Panels can be removed for access to gas connections. 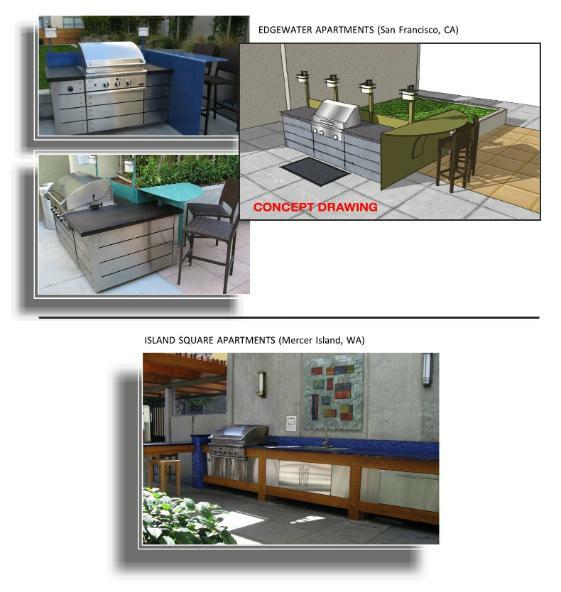 At Island Square Apts., DH Design integrated the new outdoor kitchen by using the same materials that exist nearby. "GraniteTransformations" countertop material, stainless doors, and cedar suits exposure to weather. Outdoor abstract artwork with random swirl pattern and floating glass accents the area.